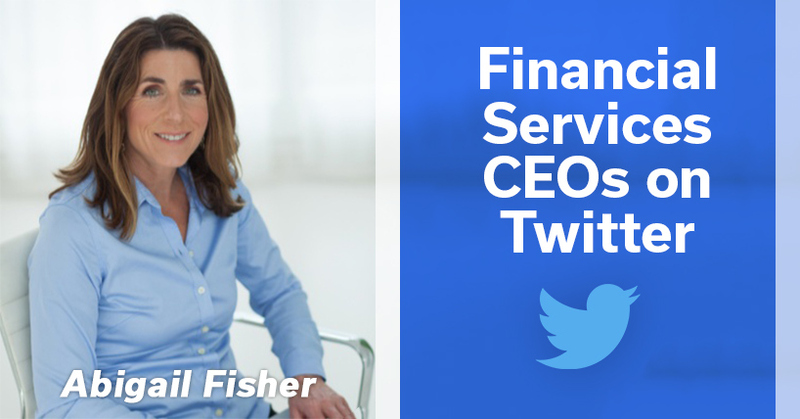 Were you aware that many CEOs of the nation’s top financial institutions are on Twitter? In fact, if you watch CNBC or Bloomberg TV you get the impression that all financial news appears to run on Twitter. This is because Twitter is a real-time news and information-gathering platform and, hands down, the best social media source for breaking news. Financial institutions are in the business of trust. It is a bank’s mission to build trust with customers, so customers then, in turn, invest their hard-earned money. Thus, It follows that heads of these financial institutions would have social media accounts to build trust with customers and, if publicly traded, stockholders. Here are five CEOs from financial institutions whose tweets I enjoy. Most of these Twitter users post their own messages; some clearly use a combination of personal tweeting and co-tweeting (by an executive or communications assistant). Not all these CEOs tweet perfectly all the time, but they all demonstrate mastery of the medium. What they commonly share is an authentically bold presence, and I believe their Twitter engagement adds to the success of their companies – especially with regards to positive customer sentiment. Lloyd Blankfein jolted the Twittersphere last June when he activated his Twitter account. As he enthusiastically began tweeting, he amassed thousands of new followers in just a matter of days. As you can see, he’s still new to Twitter and, as of this writing, has only tweeted 35 times. Nevertheless, when the CEO of one of the most respected financial institutions on the planet tweets, people take notice. You don’t get to be head of a global financial institution by being a wallflower, and Blankfein is no exception. His tweets are bold. His account is not a vehicle for championing Goldman Sachs but rather a medium through which he can communicate directly to investors and shareholders. Financial markets are sensitive and Blankfein uses Twitter to comment on the global and national economic environment and issues that affect that environment. Though an infrequent tweeter, he’s quite entertaining and a fascinating follow. Sallie Krawcheck is one of my model social CEOs. Today, she runs Ellevest, an investing platform aimed at empowering working women. Back when Krawcheck was a financial adviser, she leveraged her LinkedIn account to amass a large audience of fans eager to receive investment advice. As you can see, she is also a prolific tweeter. I believe Krawcheck uses a hybrid model of assisted tweets (from her communications team) and personal tweets on all her social media accounts. But whether she’s posting the tweets herself doesn’t really matter, because the messages are grounded in her personal vision. Krawcheck’s tweets are a bold, unapologetic shout out to working women. Her accounts on all social media platforms are well worth following. Jill Castilla retweets others frequently. Jill Castilla is an authentic social media presence on Twitter – and so utterly likable. Originally, Castilla used her Twitter channel to build a direct link to audiences and personally address customer service demands. When she first stepped into her leadership position, Citizen’s Bank was struggling with customer sentiment. Yet, she was able to turn negative opinion about the bank into a positive just by using Twitter. How? 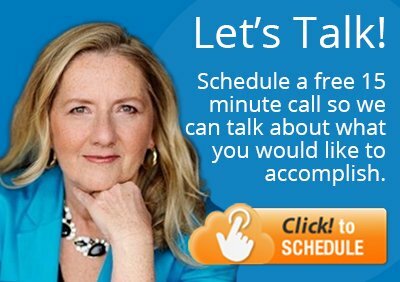 By addressing customer service-related tweets personally. Castilla actively listens to her Twitter followers and demonstrates that she cares about what they have to say. She also retweets (and likes) often – as a practice, this can be as powerful as posting an original tweet. 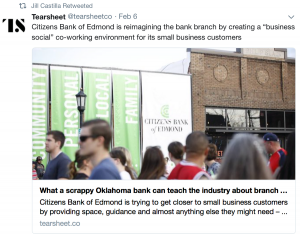 Castilla has successfully leveraged her Twitter engagement to attract a massive audience of supporters that extends well beyond Oklahoma. And she has steered her bank to award-winning performance. 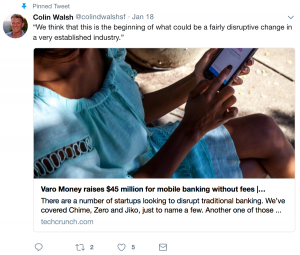 Poised to disrupt private banking as we know it, Colin Walsh’s startup Varo Money is a comer to the #FinTech space and one to watch. I include Walsh with my favorite financial CEOs on Twitter because I’ve met him and his Twitter engagement is as authentic as he is. Walsh cares passionately about his company and uses his Twitter account to champion the Varo business vision – especially to Millennials who, as a demographic, are skeptical of institutions. 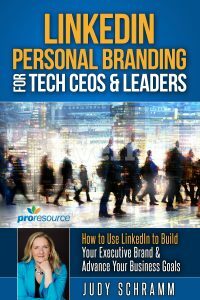 It’s essential for any company interested in reaching Millennials to showcase authenticity and openness when it comes to its business practice. Thus, it follows that Colin’s Twitter engagement is important to Varo’s business growth, and I look forward to seeing more news – from Colin, on Twitter – about the company’s success. 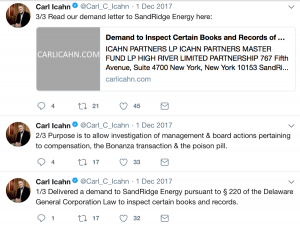 As chairman of one of the most highly regarded investment conglomerates in the world, Carl Icahn can buoy or sink a stock with a single tweet. 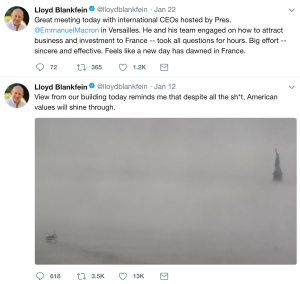 His Twitter feed is a combination of investor announcements (likely coming from his communications team) and his personal views on company performance. Icahn’s tweets aren’t flawless, but it’s the essence of his posts that drive investors and analysts to sit up and take notice. When you own almost 90% of a business, with investments in many other publicly traded companies on the Nasdaq, you’re in a position of unique power, and he uses that power deliberately. As you can see, these five CEOs take very different approaches to using Twitter, but all have found it a useful tool in advancing their agenda and promoting their business.